All children are welcome in our 10 apartments, whether they are newborns or over 12 years old. 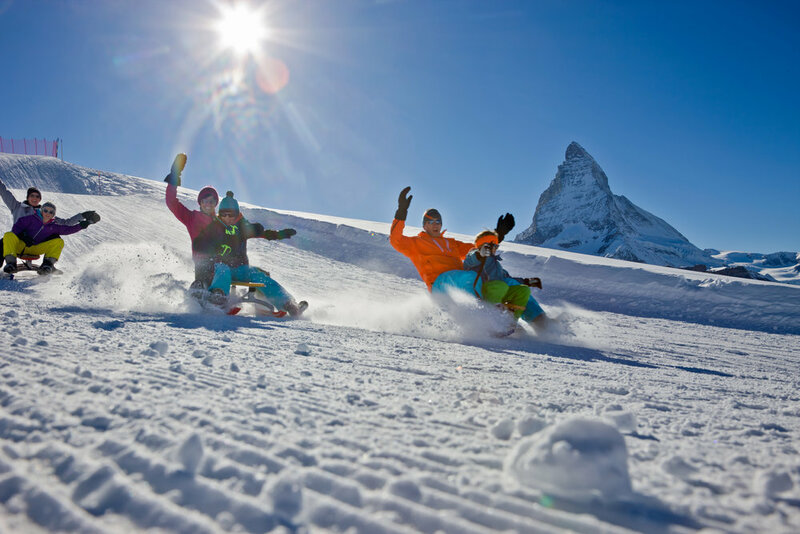 Nevada Prime Apartments Zermatt is ideal to welcome you with children. Located a minute from the main train station, in the heart of the village, the Nevada Prime Apartments are very easy to access. All of the apartments we offer are accessible by lift. We provide residents with laundry facilities (washing machine, dryer, iron and ironing board). The kitchens of our apartments will allow you to prepare meals easily and conveniently with appliances including: oven, microwave and hotplates. All of the transferable equipment is made available to facilitate your stay. In all our apartments we offer you a set of board games such as: card games, domino, chess and checkers, backgammon, scrabble and Monopoly. A library is at your disposal in the entrance of the residence, these books are ready or exchange. 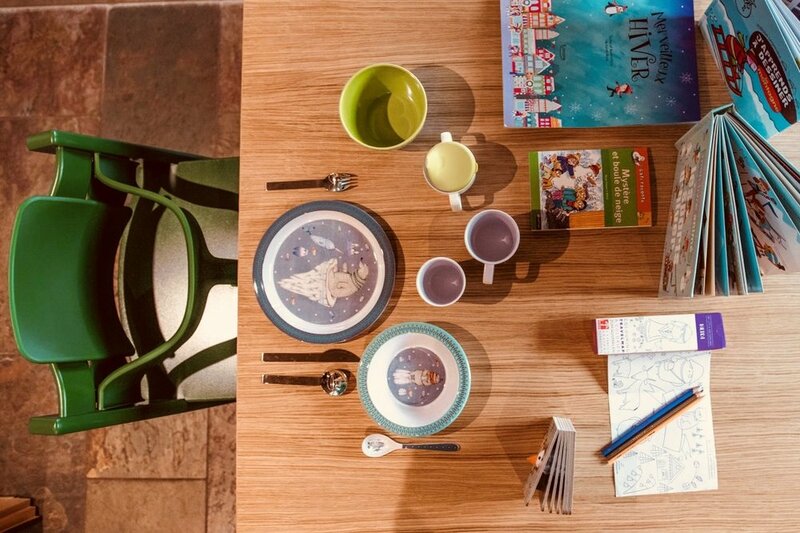 In your apartment we put at your disposal beautiful books on the Alps, so you can share with your children beautiful images and make them discover the joys of the mountains in winter as in summer. For the little ones we will put at their disposal coloring books and adapted books. All of our apartments are equipped with latest generation TVs with all international channels, Apple TV, as well as Boombox that you can connect to your smartphone. - The Gornergrat ( 3078m): this exceptional site is on the list of places to see during your stay in Zermatt. To get to the Gornergrat you have to take the cogwheel train. The departure of this mythical train is located only 2 minutes walk from Nevada Prime Apartments Zermatt. The journey lasts 33 minutes and crosses a vertical drop of 1,469 meters. Visitors will cross impressive bridges, galleries, tunnels, forests and gorges. You will arrive at the magical Gornegrat with a panoramic view of the Alps including: 29 peaks culminating at more than 4000 meters and an unforgettable view of the Matterhorn for exceptional photos. In winter you will have access to the ski trails and hiking trails. - Ice Palace: in the heart of the glacier, 15 meters deep, is a must-visit that will delight children. Take warm clothes. To get there: Matterhorn Express, then the cable car from Trochkener Steg. Anticipate approximately 3 hours. - The Matterhorn Museum: in the heart of the village, only 5 minutes walk from Nevada Prime Apartments Zermatt, is the Matterhorn Museum which is open daily. This atypical underground museum outlines the past of Zermatt and the first expeditions to climb the Matterhorn. Suitable for young and old. If your child is old enough to sleep in a baby cot we can, on prior request, install a cot in your apartment: latest model "Chicco Next2me". This cot will accommodate children up to 9 kilos in excellent conditions. For small children between 9 kilos up to the age that they sleep in a standard bed: we have a beautiful bed with rails. We have provided: sleep cocoons, sheets and linens, chamber pots, baby bath and changing pad. For meals, an adequate service is at your disposal. For children who already sleep in standard sized beds, we can add an extra bed (80cm x 200cm) upon request. All of our apartments can accommodate an extra bed. The rate for an extra bed rental is CHF 50 per night (including the same service as in the apartment). 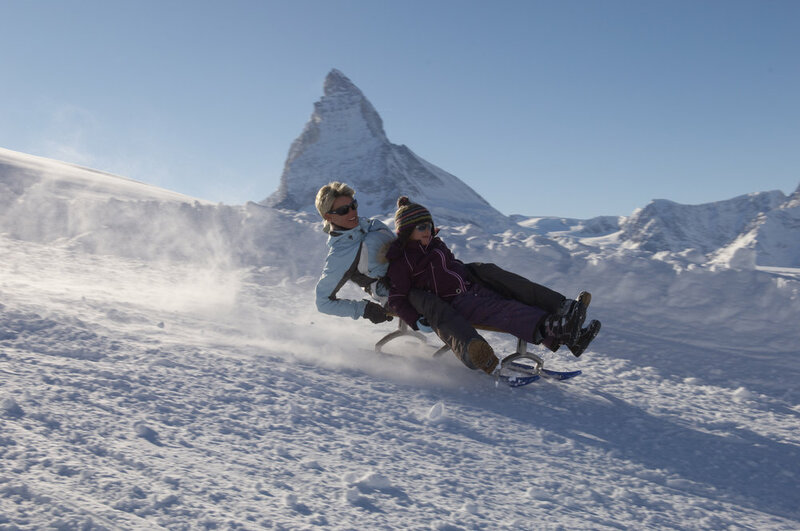 Zermatt has received the label: Welcome to Families which rewards resorts that highlight winter sports for children. Different Ski Schools offer courses for all levels, beginner or expert. Our concierge service can help you find the most suitable school for your needs. For beginners: big or small, the Sunnegga Wolli Space offers a safe and positive approach to skiing. For those who have acquired the basics and wish to attain a better level in ski or snowboard, two official schools will meet your expectations. In group lessons or in private lessons, skiing remains a playful and fun sport. The toboggan run at Gornergrat is one of the most beautiful in the Alps. The alpine panorama of Zermatt, with a view of the Matterhorn, offers toboggans a dream horizon by excellence. The vertiginous descent lasts approx. 10 minutes. Several outdoor rinks are open throughout the winter.